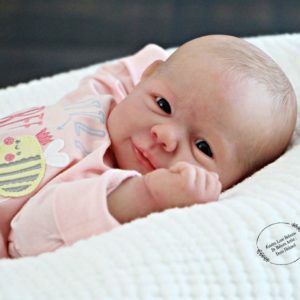 This Dream reborn doll kit is currently available to pre-order. 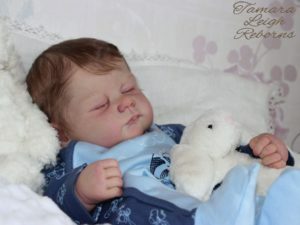 Sculpted by the talented Elizabeth Townsley you are sure to love her. 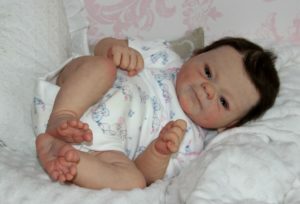 A completed baby from this kit is roughly 19-19.5 inches. 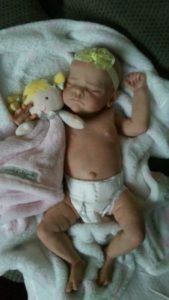 She has FULL legs which makes dressing her in a dress super cute and she has 3/4 arms. 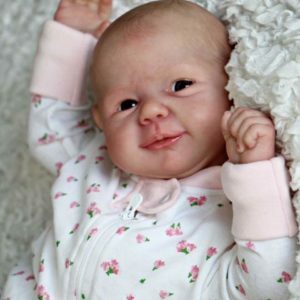 The cloth body required to complete this reborn baby is included in the price of the kit. As Dream is an awake sculpt, you will need a set of 20mm eyes. Dream is limited edition with 200 kits only made. This is a PRE-ORDER. Kits are not yet in stock. 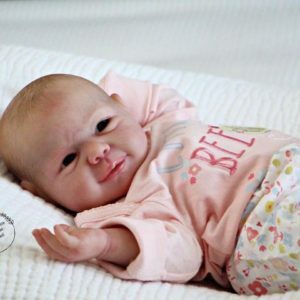 Full price of the kit is $79.99. Balance plus shipping will be due when kits arrive in stock, unless you paid shipping up front.